Looking for something different for your next corporate event or exhibition? 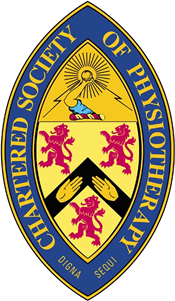 Have you considered corporate event physiotherapy? Why not hire our team to give your potential clients a neck massage live on your exhibition stand or after a corporate event. In business you need to make yourself stand out from the crowd and show you care for your customers, What would be a better way to do it than giving prospects and clients a massage whilst they do business with you are discuss working with you as a business? Our team have operated at all the UK’s major exhibition halls for various companies and we have had some great results. We increased the foot fall to their stand by at least two fold and have proven that our massage has led to customers doing business with our client as a direct result. Give us a call or fill out the contact form today and we will endeavour to have availability and be at hand to ensure your event propels into a real success that is reminiscent of all the hard work that you have put together. We will ensure to tailor the service exactly to your requirements and we will promise a long lasting and memorable experience for all that are interested in your event. Physiowellbeing helped me get back to my normal self after suffering with neck and back pain. Even though she put me through a lot of pain in the sessions, I was extremely impressed she was able to get rid of all my pain after I had been suffering for well over a year. We have several staff members at Digital Next with aches and pains, from back trouble to sore feet. I signed up for the corporate package which has helped with team morale in the workplace and also gives staff a good feeling because it is a great perk to the job. In March I will be competing with my beloved team at the National Cheerleading Championships hoping to win a bid to compete at the World Cheerleading Championships held in Disneyland, Florida – without Carla I would not have the chance to fight for this dream! Thank you to Carla Whale at Physio Wellbeing for delivering top class treatment on my back and shoulder after a RTA. I've had numerous shoulder and neck problems over the last 10 years and Carla is the only physio that has delivered lasting relief.